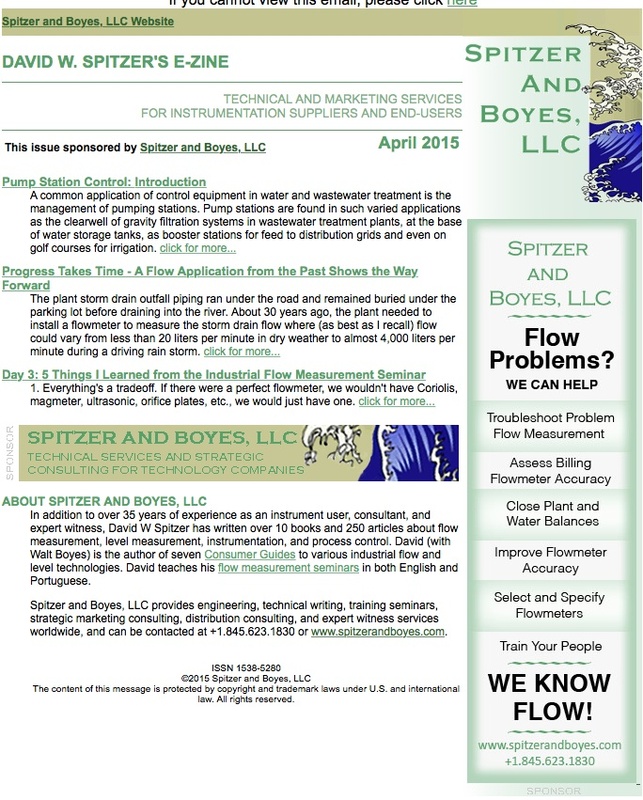 Some flow measurement applications just stick in your craw and may even keep you up at night. Losing sleep may be an exaggeration, but some applications are ‘tough’. The problem is that these applications usually involve the simultaneous solution of many flow problems, each of which may have a feasible solution when taken individually. For example, consider the problem of multi-phase flow where individual liquid and vapor flow measurements are needed. Measuring the liquid flow rate and gas flow rates individually might be straightforward, but measuring them in the same stream will create havoc in most flowmeters. Not surprisingly, solutions to this problem include separating the vapor from the liquid and measuring each stream individually. Another approach is to install a flowmeter that can handle this service, such as a Coriolis mass flowmeter with software designed for two-phase flow or a correlation flowmeter that can measure fluid velocity and void fraction. And what if the stream contains two liquid components? Again separating the components and measuring each stream may be an option, but it is often not practical. In some applications, the densities of the liquids may differ enough such that the flow rate of the individual components can be inferred from measurements of the total flow and liquid density, predicated on a known relationship between density and composition. Another option is to measure the total flow and use an analyzer measurement to infer the flow rates of the individual components. And what if the stream contains liquids and solids? Separation may be an option that the process will not tolerate. And what if the stream contains a liquid, vapor and solids? Now the problem is more complicated and the phases may have to be separated in order to make the individual measurements. And what if the temperature is 500 degC? And what if the pressure is 500 bar? And what if 200:1 turndown is needed? And what if there is only 1 diameter of straight run to install the flowmeter? And what if the pipe is located 10 meters above grade with no access platform? And what if the ambient temperature is 80 degC? And what if…? The list can go on and on. In most cases, meeting one of these requirements is possible. However designing a flow measurement system to measure under a combination of these conditions is difficult and may require a somewhat unlimited budget. Compromising on the requirements and relaxing budgetary constraints may bring solutions into focus, but the long and short of it is that there just may not be a feasible flow measurement system available. You just may have to measure what you can feasibly measure as a surrogate for the desired measurement. For example, measuring the individual liquid, vapor and solid flow rates in a stream may not be feasible. However, useful information might be obtained by separating the vapor flow from the other phases, and measuring the liquid/solid flow and the vapor flow. This may not be the ideal, but these measurements could provide useful information about the process at reasonable cost. It should be understood that in some applications, there just may not be any flow measurement system available at any price that meets all of the various requirements. 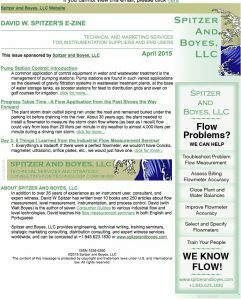 This entry was posted in David W Spiter's E-zine and tagged Flow Measurement, Gas Flow Measurement, Liquid Flow Measurement, Multi-phase Flow on December 7, 2017 by David W Spitzer.